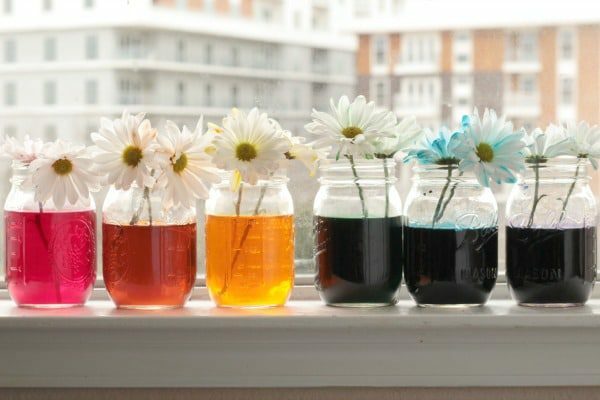 Learn about how plants drink water with capillary action in this super-fun rainbow color changing flowers experiment! Kids of all ages will love it! 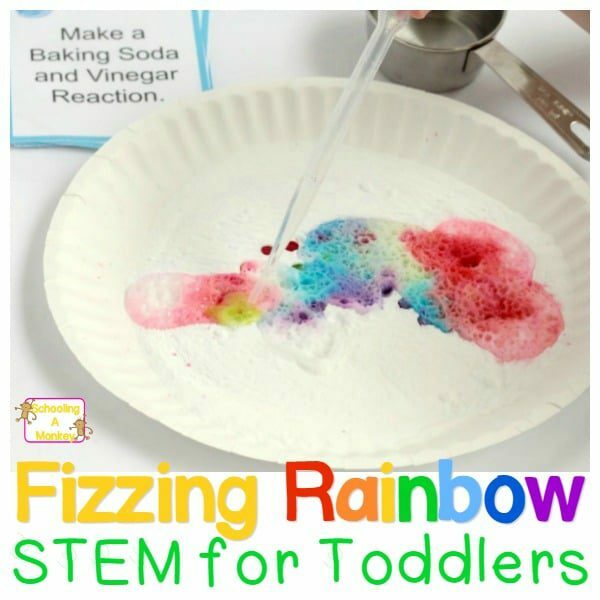 It’s the perfect addition to your spring STEM activities! Rainbows are totally amazing, and so are flowers. 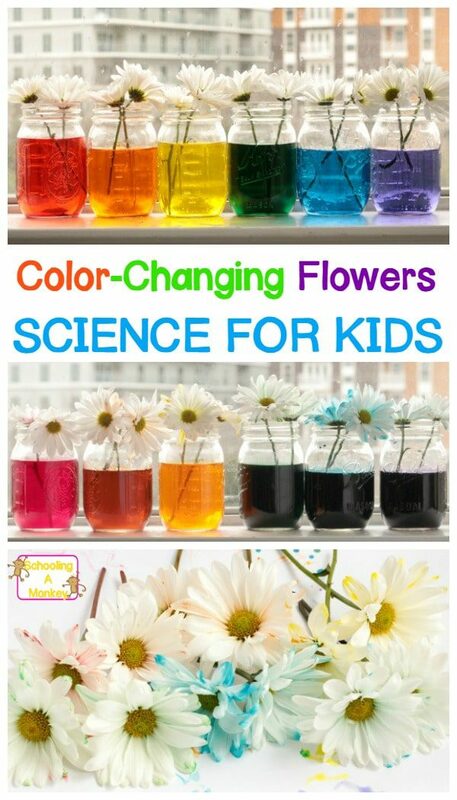 Combine them in this super-fun color-changing flowers science experiment for kids. This would make a super fun St. Patrick’s Day STEM activity! Fill each jar with about 6 ounces of water. 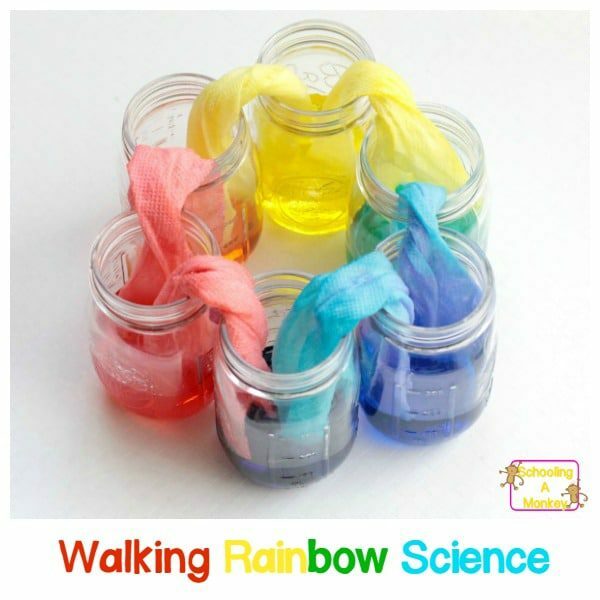 Place one color of the rainbow in each jar. 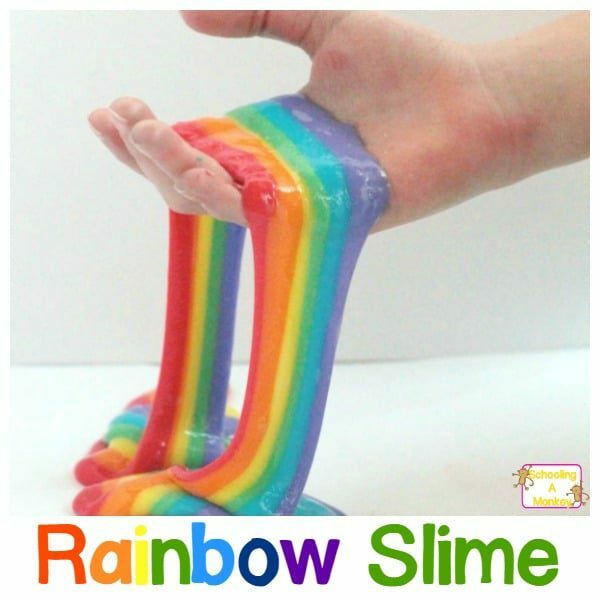 We used just about a full container of liquid dye in each container to get the colors we did, but we did have too much water to begin with. Start with about half a container of dye and go from there. Cut each white flower stem at an angle and place in the water. Put your flowers in a sunny place, and wait! Within 3 days you should see distinct colors start to emerge. Keep your flowers in the colored water until they start to wilt for maximum color absorption. 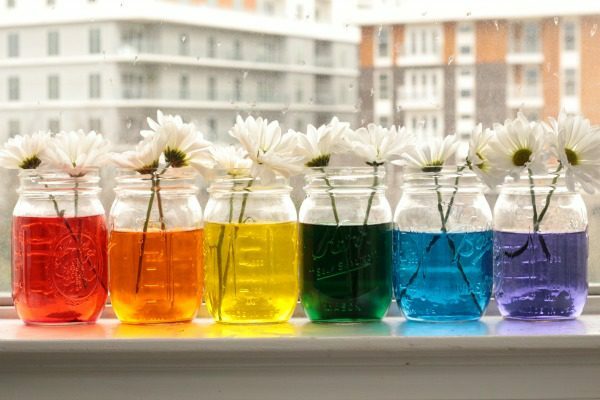 Pro tip: If your flowers don’t appear to be changing color within 3 days or so, you probably are A, using a less-than-ideal type of flower like we were (carnations are best, turns out), or B, didn’t put enough dye in the jars. To get our flowers to change color, we had to use nearly a whole bottle of liquid dye per jar. The type of dye also matters. 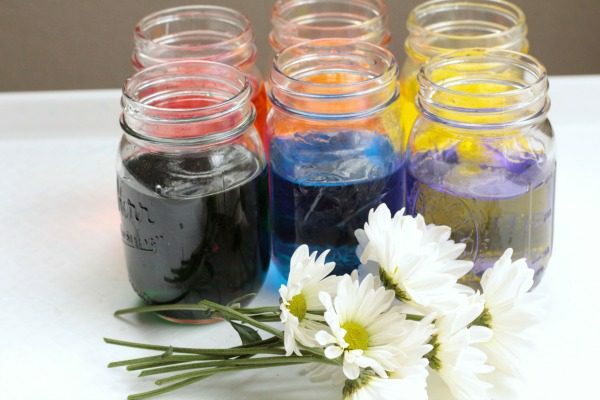 We tried gel food coloring first, but it wasn’t strong enough to dye the flowers. 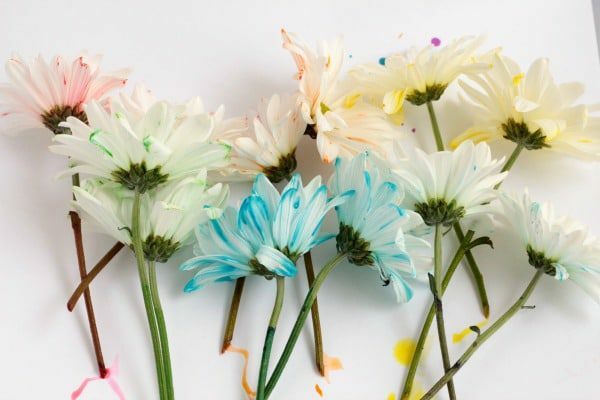 The reason flowers change color has to do with how they soak up water. All plants require water to survive, but they drink it from the ground. So, to move it from the ground to the leaves, plants use what is called “capillary action” to move the liquid to the top of the plant. Basically, this happens by water evaporating in the leaves, causing a pressure change in the stem that helps the liquid from the roots rise to the surface. 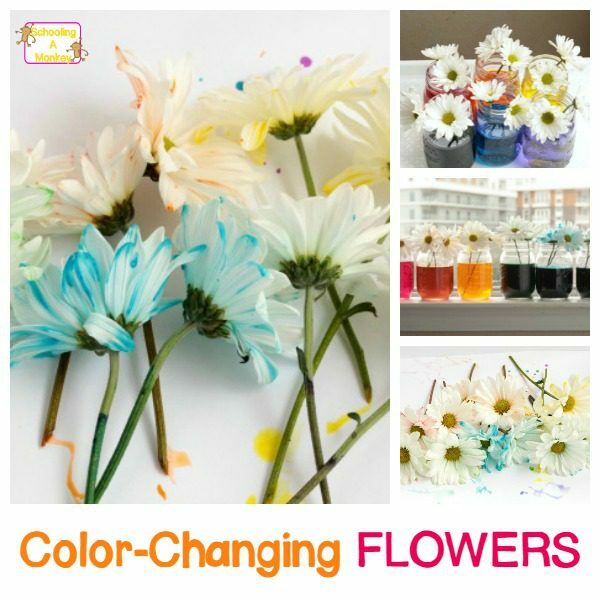 In this experiment, you can see it happen because the flowers will gradually change color! But not always like you think. Our flowers changed color at the very tips first!